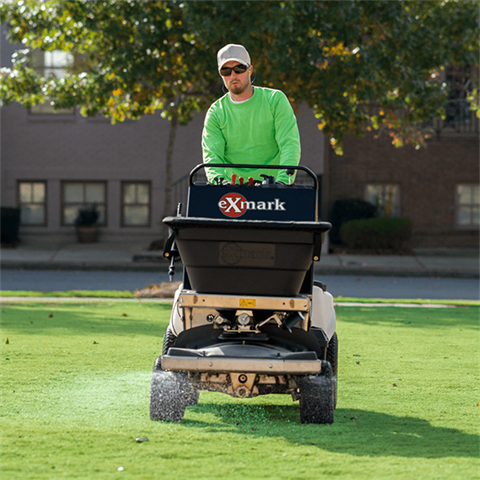 Exmark's stand-on spreader sprayer is the industry’s most advanced, most innovative design. 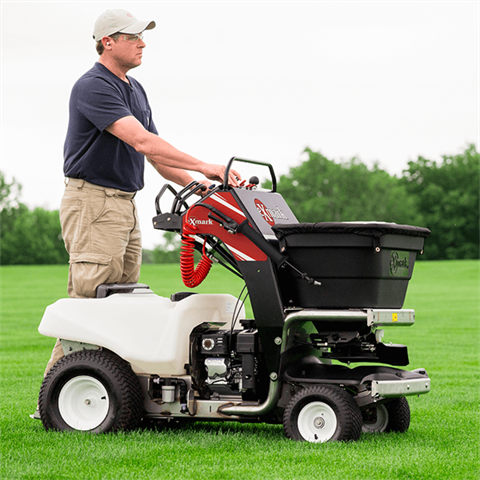 This versatile, easy-to-operate, easy-to-maneuver machine offers our most advanced lean-to-steer technology and outstanding stability. 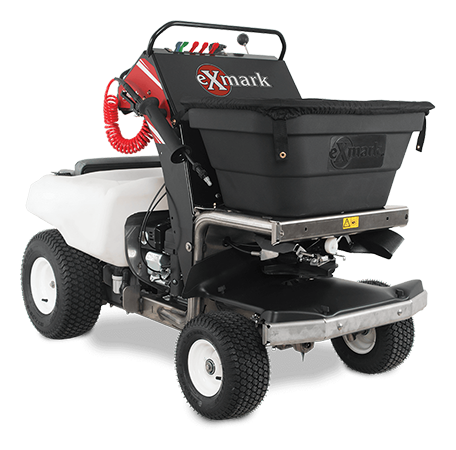 The sprayer system includes a 20-gallon tank and an agitation system; the seed hopper can hold up to 175 lbs. Adjustable spread and spray widths let you operate in a variety of terrains and conditions. INNOVATIVE LEAN-TO-STEER TECHNOLOGY: This advanced solution allows the operator to control all motion with one hand. AGITATION SYSTEM: You can mix chemicals in the tank and keep them in suspension, thanks to our innovative agitation system. INTUITIVE CONTROLS: Everything you need at your fingertips, allowing you to make easy adjustments and maintain total control. SPACIOUS HOPPER: Hopper can hold 175 lb. An extra 50 lb. bag can also be placed in carrier on top of the tank. OPERATOR COMFORT: Stainless steel operator platform with isolation mounts for a more comfortable ride. Locks up or down for storage. Adjustable from 4 ft. up to 22 ft. Tank Capacity - 20 gal. Spray width (narrow) - Up to 5 ft.